1 a radiographic technique that produces an image of a detailed cross section of tissue. The procedure, first used in 1972, is painless and noninvasive and requires no special preparation. It is 100 times more sensitive than conventional radiography. CT uses a narrowly collimated beam of x-rays that rotates in a full arc around the patient to image the body in cross-sectional slices. An array of detectors, positioned at several angles, records those x-rays that pass through the body. The image is created by a computer that uses multiple attenuation readings taken around the periphery of the body part. The computer calculates tissue absorption and produces a representation of the tissues that demonstrates the densities of the various structures. Tumor masses, infractions, bone displacement, and accumulations of fluid may be detected. For cardiological examination, ultrafast CT is electrocardiogram-triggered and allows visualization of cardiac function and blood flow. 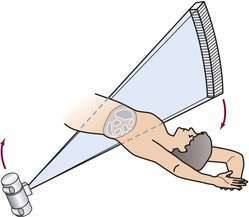 Because modern CT equipment does not involve motion of the x-ray tube, heat loading is not a problem and multilevel images can be acquired in a very short time, sometimes during a single held breath. During a period of two held breaths, as many as 50 continuous tomographic images can be produced in a single-slice mode. 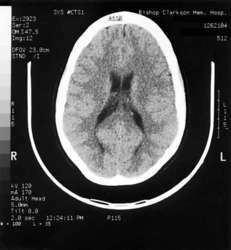 Formerly called computerized axial tomography. 2 in dentistry, also called cone-beam imaging or cone-beam computed tomography (CBCT). Often used to view the temporomandibular joint area or a presurgical dental implant site. A diagnostic imaging technique in which multiple X-rays are taken from different angles in a single plane and a series of two-dimensional images (”slices”) of the different tissue densities—e.g., fat, muscle, bone, etc.—is constructed by computer. In contrast to conventional radiology, CT results in a 1000-fold increase in image resolution, and can pinpoint lesions < 2 mm in greatest dimension; dyes may be injected IV to increased resolution of abnormal tissue and blood vessels, or radiocontrast can be used for dynamic testing. Computed axial tomography, computerized tomography, CT scanning Imaging A special radiographic diagnostic technique in which multiple X-rays are taken from different angles in a single plane and a series of 2-D images–'slices' of the different tissue densities–eg fat, muscle, bone, etc, are constructed by computer; in contrast to conventional radiology, CT results in a 1000-fold ↑ in image resolution, and can pinpoint lesions < 2 mm in greatest dimension; dyes may be injected IV to ↑ resolution of abnormal tissue and blood vessels, or radiocontrast can be used for dynamic testing. See Hounsfield units, Multislice CT, PET/CT, Quantitative CT, Spiral CT, TACT, Ultrafast CT. Cf Magnetic resonance imaging, Ultrasonography. 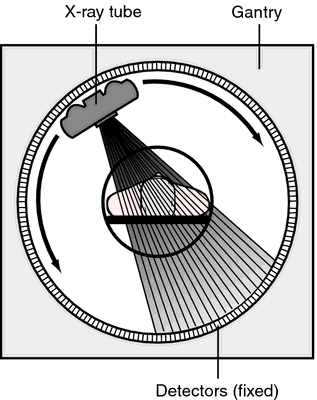 X rays are aimed at slices of the body (by rotating equipment) and results are assembled with a computer to give a three-dimensional picture of a structure. n radio-graphic imaging technique used to record a cross-section of tissue. 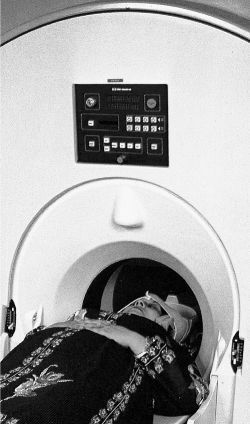 n a radiographic body scanning technique in which thin or narrow layer sections of the body can be imaged for diagnostic purposes. The technique uses a computer-linked radiographic machine to focus the radiographs on a particular section of the body to be viewed. a radiological imaging technique that produces images of 'slices' through a patient's body. See also computed tomography.